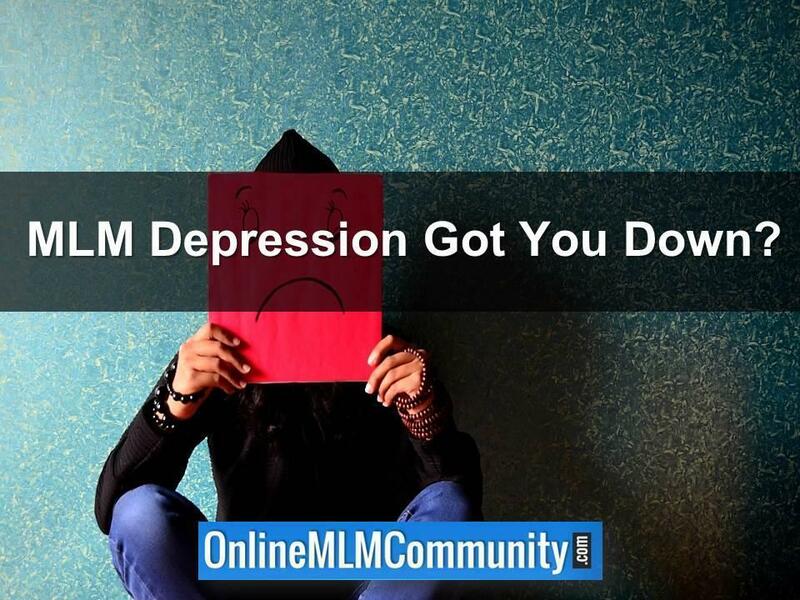 MLM Depression: MLM Got You Down? Do you have MLM Depression? Are you suffering from let down and disappointment in your MLM Business? If so, you’re not alone. Lots of folks are unhappy with the results they are getting in their network marketing business. I think of the term MLM Depression as a slang word for disappointment or frustration. I don’t take it literally to mean that there is a connection between network marketing and actual depression. Now, I’m not a medical doctor or shrink. And I am not about to give you any medical advice. Instead, my goal today is to help you “overcome” your feeling of despair about your network marketing business. If you are depressed about other things, by all means call up your doctor and get some help! How do I know this? Because I’ve been there and done that! At one point or another in my career, I have experienced ALL of these things. Fortunately, the feelings didn’t last long. It was just a temporary struggle I had to deal with. Through the years I learned a few things I could do to eliminate these feelings. My goal today is to share a few of those things with you, so you can feel better about your business. 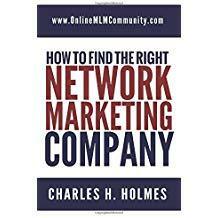 MLM is not designed to provide an IMMEDIATE FULL-TIME INCOME. No new business is designed to provide a full-time income, right out the gate, especially if you are just getting started. If you are unemployed, broke or in dire financial straits, go out and find a full-time job or part-time job. Having a job will give you immediate income so you can pay your bills, get rid of the financial pressure, fund your business, and keep your spouse happy. Going “full time” in MLM right away is normally a huge mistake, because it typically takes a few years to build up a stable, full-time income with ANY TYPE of business. 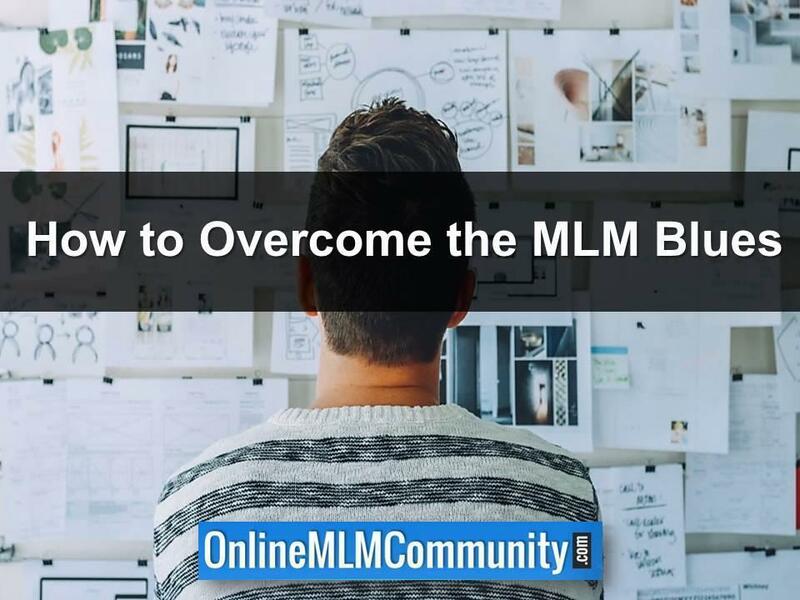 The next thing you need to do to help get rid of your MLM Depression is to develop a game-plan for your business. You need a written business plan with a simple strategy and daily action plan that you can follow every single day. Knowing “what” to do is more than half the battle. Having a plan is a great starting point. I think the biggest cause of MLM Depression is unrealistic expectations. Many folks join network marketing and expect everything to be fast and easy. They have a lottery mentality. They think they can build a profitable and successful business in just a few months, with only a little bit of work. The truth is, most businesses take three to five years to get up and running smoothly. Yes, you can make money in MLM from your first month, but most people will take six to twelve months just to learn the basics in their business. The bottom line is you need to have realistic expectations, so you can set yourself up for success right from day one. I have people call me who have been in the workforce for 20 to 30 years and they are earning $4,000 to $6,000 per month in their job. Keep in mind, many of these folks have a college degree, specialized training AND they have been working their career FULL-TIME for 20 to 30 years. Yet, many of these same folks join our industry, think they can work their network marketing business 5 hours per week (very part-time) and earn the same amount of money as they do in their day job, within their first few months in the business. Folks, these are unrealistic expectations. Several years ago I read a book called “The Magic of Thinking Big” by Dr. David Schwarz. I love this book. One statement from the book really had a profound impact on me. His statement was “action cures fear!” In other words, when we take action our fear goes away. Taking action is the best way to cure your fears. If you are overwhelmed and have fears and anxiety about your network marketing business, do something today to grow your business. Take action. Heck, take massive action. You will quickly discover that your fears will start to go away once you get to work! Work on your personal development. As Jim Rohn once said, “for things to get better you have to get better.” I agree. Make it a point every day to spend at least twenty or thirty minutes reading a self-help or business book. Listen to some audio training programs. Watch a few inspiring videos. Hang around other winners in your organization. Work on your self-image and attitude. Not only will you feel better about yourself, but it will also help you grow your business. Your upline is there to help you. All you have to do is give them a call and ask for help. Any time you are feeling down or frustrated about your business, call your upline mentor. Share your questions, concerns or frustrations with them. Get answers to your questions. In many cases, they can provide you some concrete ideas to move your business forward and give you the reassurance you need. One of my biggest challenges in the early years of my network marketing career was that I was an emotional roller coaster. My emotions were dictated by what my prospect said or did. If someone joined my team, I was excited. If someone said no or quit, I was devastated. Eventually, I learned to detach my emotions from things I could not control. Instead of worrying about what my prospects said or did, I realized the only thing I could control was my actions and output. So I stopped worrying about my prospect and shifted my efforts to focusing on my activities. You should do the same thing. In summary, MLM Depression is a slang word for disappointment or frustration in your business. If you’ve got symptoms of MLM Depression, do something about it! Follow any of the seven tips mentioned above to “snap out of it” and move your business forward. On the other hand, if you think you have regular “depression” please consult with a trained medical professional to get the help you need. What are your thoughts? What do you think about MLM Depression? Leave a comment below to let me know what you think. I look forward to hearing from you. Disclaimer: I am not a doctor. This article is for educational purposes only. If you suffer from depression, or think you do, please consult with a doctor and get help. Planning for the future is a good way to help yourself overcome any negative feelings you may currently be experiencing. If you can keep your eye focused on where you want to be and develop a step-by-step plan for how to get there, then you’ll have far less energy to expend thinking about what you haven’t accomplished. Rather you’l be excited about getting to your end goal- how is that for motivation and positivity? As a freelance writer and author I often find myself going into depressive states. As I said in the other comment, this can happen in all businesses, but some have better odds of depression. I believe network marketing fits in that category. One thing I do know….alcohol is not an answer. I do like what you say in detaching your emotions. We just cannot allow our work to control our mental state. When I am down, I work harder and look for other income possibilities. One of the biggest issues of working from home by yourself is limited social interaction. Yes, you are correct that limited social interaction can play a huge part in depression. I have learned to get out more. It all comes down to time management and realizing that all work and no play is a terrible way to live life. As I stated before, these depressive states can, and do happen to people in all walks of life. I believe you hit a wise nail on the head when you said to take action. It is when we just sit around thinking about the negatives when we build them bigger than they really are. Getting with it and working is one of the best medicines for depression. There definitely are some great strategies for helping us to control our emotions and remain in a positive mental state in an industry that indeed can be very stressful. I do like your suggestion of music, as I find that music can often positively influence my mood as well. I also use strategies such as aromatherapy, yoga, and putting up encouraging and uplifting quotes around my home/office to inspire me. Also, keeping positive people in my inner circle has been a great thing for me. Their words of encouragement have often pulled me out of a slump. Depression can come from any business, or even a regular job. We do all need to understand that the economy is in tough shape right now, so all businesses are suffering. Keep chugging along and things will get better. What doesn’t kill you will make you stronger. Yes, the economy is in tough shape. In my local town, many businesses have closed down. Sometime just surviving during tough times is more than half the battle.